Naim is one of the leading township developers in Sarawak, with flagship developments in Miri, Kuching and Bintulu. Naim is also a Class A Bumiputera Contractor with ISO 9001 certification and has recently emerged as one of Malaysia’s largest Bumiputera contractors. 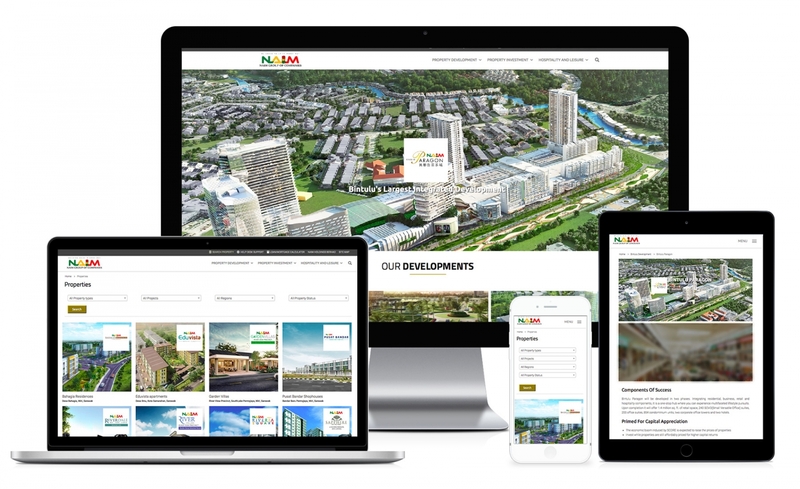 Naim Property is a sub-site that only focusing on property listing and information, apart from their official website. Which allow end user to easy search and find out more about their property. This is also combine all the previous standalone website (Kuching Paragon, Bintulu Paragon, Southlake etc.) into one website. Client would like to combine their all sub-sites (property site like Kuching Paragon, Bintulu Paragon, Southlake etc.) into one corporate branding property site, to allow their customer to be easily get the information of the property, and search, browser available new property from their one property site. Property search and filter, listed according to project, region and types.